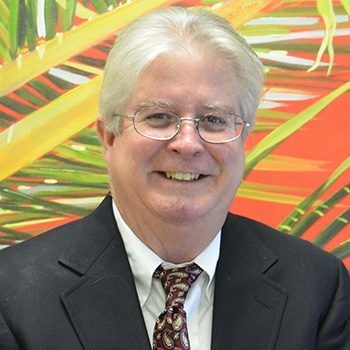 Since 1988, Mr. Cleary has been licensed in the State of Florida and sold, leased and managed all types of commercial real estate focusing on Industrial properties. He has helped owners and users buy and sell warehouses and investment property. Born and raised in West Palm Beach, Mr. Cleary worked many years with his family’s company Cleary Brothers Construction. He graduated from the University of Georgia with a Bachelor’s degree in Economics. Mr. Cleary joined D.P. Lewis & Associates in 1989 and was top performing senior associate for over 21 years. During this time he became knowledgeable in the industrial markets in Palm Beach County and took several classes associated with the Society of Office and Industrial Realtors (SIOR). Mr. Cleary is founding member of the Commercial Realtors Society of Palm Beach County gathering numerous awards for sales and leasing. Since joining Strategic Realty in 2010, Mr. Cleary has continued his successful involvement in commercial real estate through his long standing knowledge and professional relationships. Tom is the “go-to” person for local appraisers. Tom resides in Lake Worth with wife Debi and has two sons Christopher and Thomas and a step-daughter in San Francisco.